If New York state were a country, it would be the 11th largest in the world by GDP. A scale that demands cross-sector collaboration to unlock the city’s full economic potential. 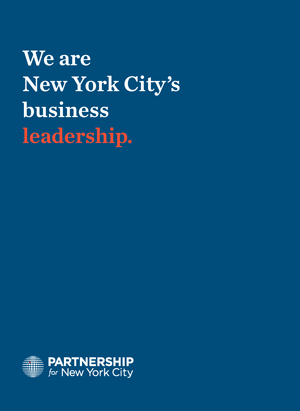 The Partnership for New York City represents the city’s business leadership and its largest private sector employers. Statewide, our members employ 1.5 million New Yorkers and contribute nearly one-fifth of the state’s gross product. We work together with government, labor and the nonprofit sector to promote economic growth and maintain the city’s position as a global center of commerce and innovation. The Partnership engaged over 300 members in every sector in more than 100 meetings with leaders of the government, business, labor and civic sectors. The Partnership focuses on research, policy formulation and issue advocacy at the city, state and federal levels. At City Hall and in Albany and Washington, the Partnership provides an opportunity for the business community to be heard on important economic issues, such as job creation and development of the infrastructure necessary to support emerging industries. By leveraging its network of Partners, the Partnership has the unique ability to go beyond advocacy to action. The Partnership serves as a resource of expertise and creative thinking for public policy makers, the media and others who are trying to understand and stimulate the growth of the New York City economy. 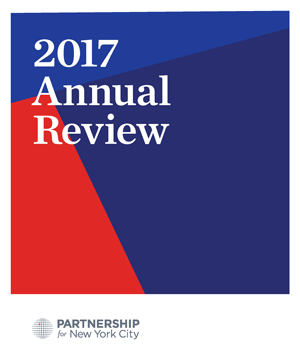 The Partnership formulates policy by sponsoring economic impact studies, conducting business surveys, and convening task force panels and conferences for Partners, economic experts, public officials and other constituencies concerned with economic development. Through the Partnership Fund for New York City, the Partnership’s economic development arm, we stimulate new business creation by making contributions to projects that improve economically distressed communities, foster growth in emerging tech sectors and promote public sector innovation. 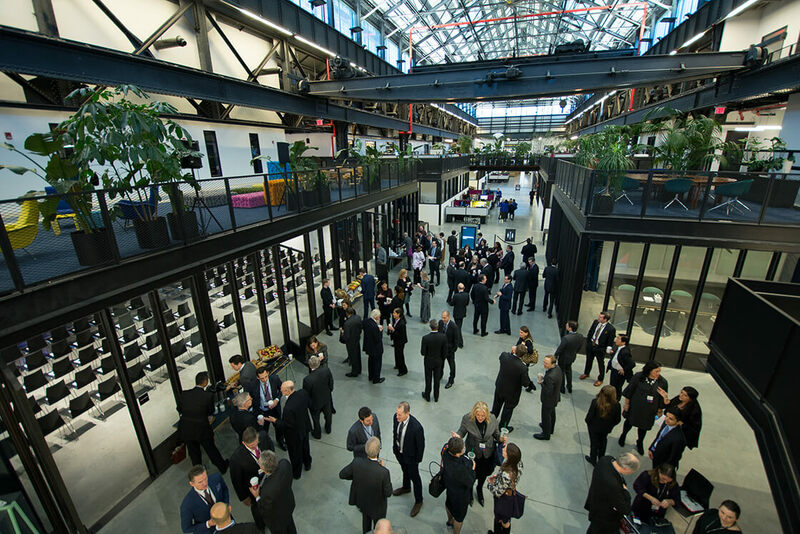 To date, the Fund has raised in excess of $150 million and made more than 175 investments in businesses and nonprofit projects in all five boroughs to promote the local economy. The Partnership for New York City represents the city’s business leaders and largest private sector employers.